Do not confuse Sound Transit (Light Rail, Commuter Rail) with METRO. METRO does not build or pay for ANY light rail. METRO operates the light rail under contract from Sound Transit. 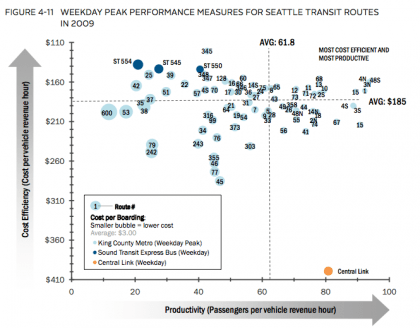 Light Rail doing well is Sound Transit doing well, not METRO. Commuter Rail not doing well, also ST, not METRO. Oh… I’m by no means doing that. However many of the statistics are crammed altogether. They end up being inclusive of Sound Transit and Metro, some even so inclusive as to include Pierce County, Community Transit, and some of the others.